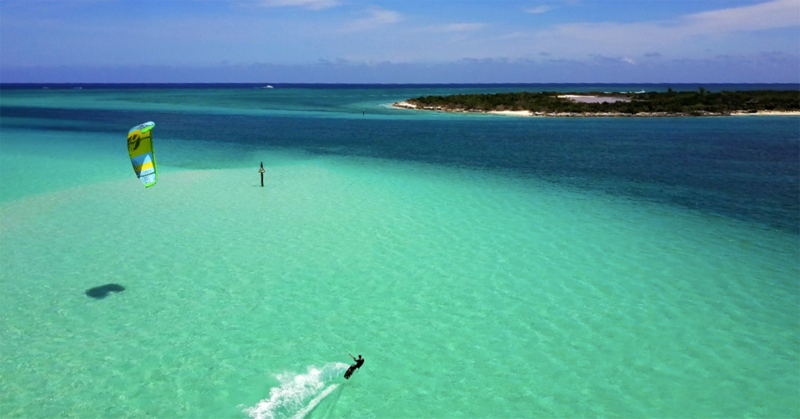 Kiteboarding Turks and Caicos is a dream getaway for riders of any level. The main island is Providenciales, also known as Provo, with about 40 other low-lying coral islands surrounding. The coral reefs surrounding these islands create shallow flat water. Not having any rivers on the island contribute to maintaining purity in the surrounding water which makes for some of the most unique and beautiful water colors of any island in the Caribbean. The beautiful waters and consistent trade winds makes Turks and Caicos a place any watersports enthusiast dreams of. 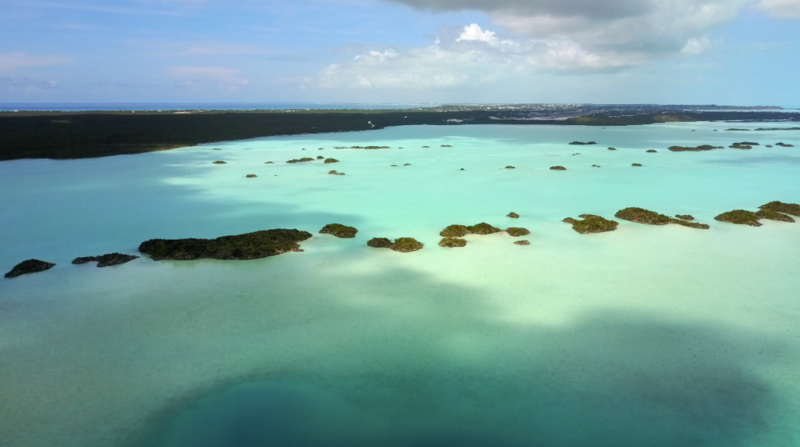 Imagine kiteboarding in a waist deep pool with soft sand and hardly any shells for miles and miles, that is what Long Bay is like. The water is crystal clear and has a neon blue color that makes it look like an ocean out of Pandora. With the side-onshore wind, there’s enough beach space on Long Bay that kiters can go out and not feel crowded. 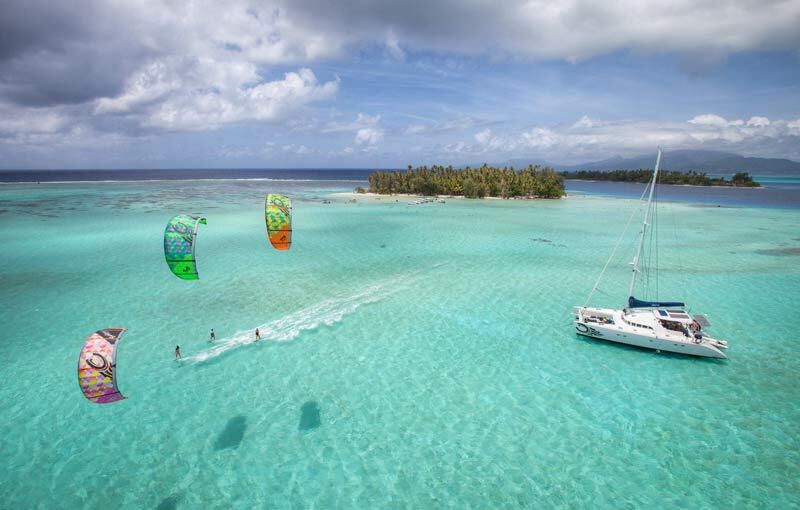 Long Bay is easy, safe and convenient but if you wander around the island you’ll discover some of the most beautiful kite spots in the world. If you’re not a highly experienced kiteboarder, you will need a guide to take you to some of these spots. A few factors that play a role are current, tide, wind direction and wind shadows. If you get the equation right, you can enjoy butter flat, crystal clear water that is like something out of a picture perfect dream. There are many perfect spots for kiteboarding around Provo where you won’t see another kiteboarder. These places are truly off the beaten path. The kiteboarding season in Turks and Caicos lasts from October through August. The winds are predominately trade winds with the most consistent months being June and July. On average the winds will be between 17-25 kts. 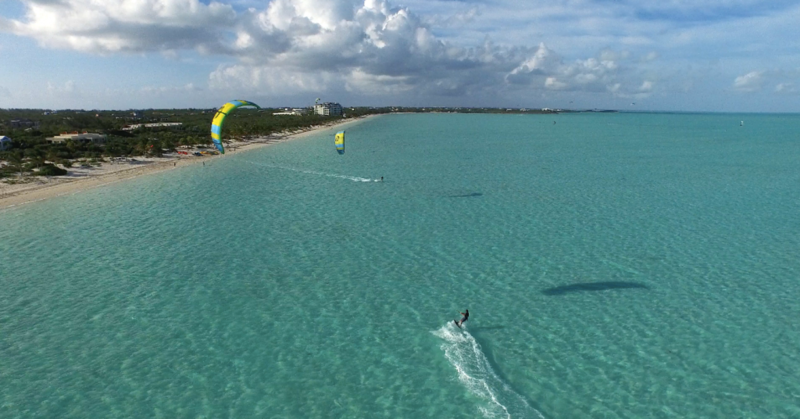 With such shallow water and consistent winds, Turks and Caicos is an ideal place to learn how to kiteboard. The trade winds are consistent and blow from October through August. 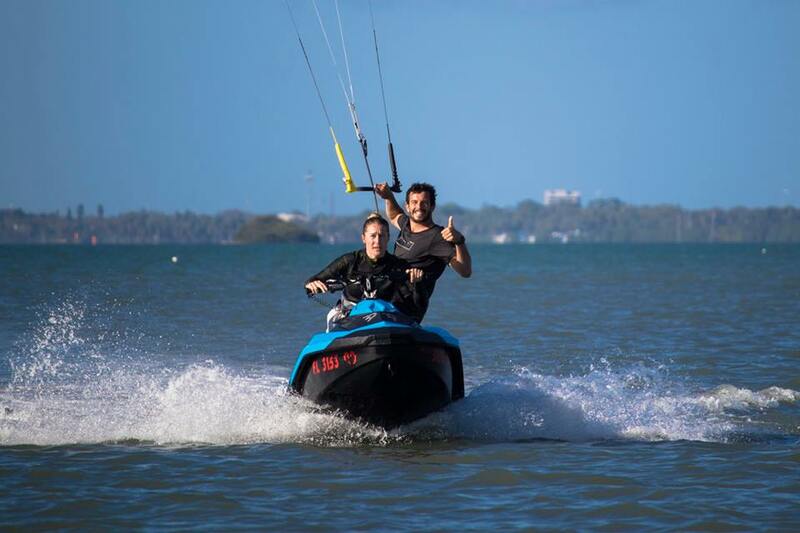 With a side onshore wind, waist deep water, minimum current, minimum hazards, Long Bay is the ideal place to learn how to kiteboard. Turks and Caicos is a British Overseas Territory located southeast of the Bahamas and north of the Dominican Republic. The main island is Provos and the airport to fly into is Providenciales (PLS). 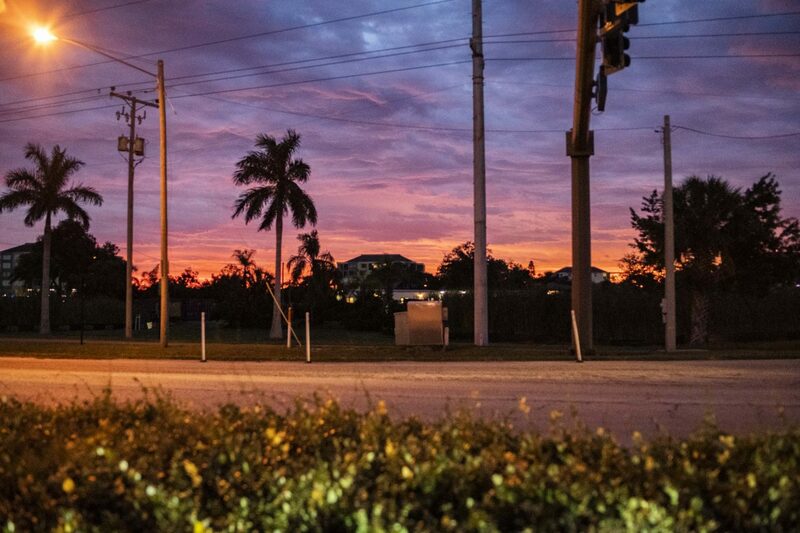 If you’re traveling from anywhere in Florida, you’ll find the best rates flying out of Fort Lauderdale airport. Turks and Caicos is safer than most other islands in the Caribbean. Crime on Turks and Caicos is relatable to an average city in the United States. According to Visit TCI, the majority of crime that does happen, happens on the west side of Grace Bay and after dark. We traveled to the far northwest side of the island and down the more isolated roads in between and never felt uncomfortable. Even though we felt safe, always practice safe traveling. There’s a couple of different options when it comes to snorkelling around Provos. You can either check out the reefs by the beaches or take a cruise out to the outer reefs. The main difference between the two is that the reefs the boats take you to have larger formations. 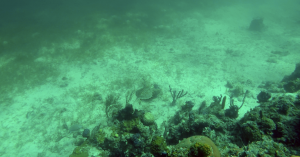 We explored Smith’s Reef one morning and saw an array of tropical fish, coral and a sea turtle. Smith’s Reed was a short swim from the beach and had excellent visibility. With the abundant shallow and clear water, paddleboarding is a perfect way to enjoy the beauty of Turks and Caicos. Most villas offer paddleboards or kayaks, otherwise you can book an excursion with Kite Provo or rent some from Las Brisas on Chalk Sound. If you decide to go on your own, make sure to be aware of your surrounding environment. Pay attention to current and wind, always paddle into the wind or current when you first go out. We recommend you use a leash while paddleboarding. Rent a car and explore some of the national parks on Provos. If you take Millennium Highway to the far northwest of the island you’ll find a sandy road that turns and swerves for miles until you reach the beach at the northwest tip. It’s a serene place with flat water that is protected by a reef that circles around the island a few miles offshore. Chalk Sound Drive is a must do. Its a winding road up and down hills that give you a glimpse of some of the most beautiful water colors in the world. Within Chalk Sound are hundreds of little islands. 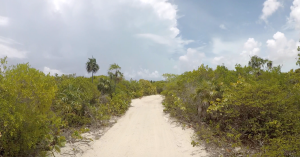 We recommend driving down and stopping at Las Brisas restaurant on the way back where you can enjoy a conch salad, rent paddleboards and swim in Chalk Sound. Turks and Caicos is a tropical paradise. The clear water and consistent winds make it an ideal location for kiteboarders. Long Bay is the common spot most kiteboarders ride at, but there are many other locations more experienced riders can explore. 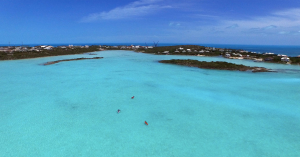 Interested in kiteboarding Turks and Caicos? Send us a message below!